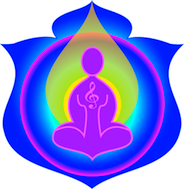 The Vibrational sound therapy 2 sounds are a multi purpose practitioner level sound which may be used to assist the body to energetically “burn” a virus or bacteria from the body when played with intention. They are also used by Sounds from Source practitioners to assist in activating brain Integration in both children and adults who are not integrated which may result in learning difficulties and left and right brain integration. Following an accident or illness they can be played every hour, or on repeat to assist with the healing process of the body. When I began studying with the late Cameron Dawson in 2002, he introduced me to the principle of the Vibrational Sounds with which he practised Vibrational Kinesiology.. Cam’s version of these sounds was approximately 7 minutes long and composed from a series of ancient instruments which were many times likened to a cow bell and an elephant trumpeting. As this was a sound that we supplied in those days for ‘at home use’ for children with learning issues I was often referred to as ‘the Elephant lady’, when children came back to see me, or in some instances the comment from a child of ‘Not the Elephant sounds’ as many children did not like them! So when we decided to create sound 181, we took all of the above into consideration. It needed to offer all of the multi purpose practitioner uses to assist the body to energetically “burn” a virus or bacteria from the body when played with intention. And in following an accident or illness, to assist with the healing process of the body. Played hourly or on repeat. Sound no 182 was created as a ‘stronger’ or Practitioner level of the original sound. Sounds from Source practitioners as I have said use sound no 181 as an at home follow up after an energetic correction to assist in activating brain Integration in both children and adults who are not integrated which may result in learning difficulties especially with reading and lowered levels of left and right brain integration. Comment from Susan – This sound will also enhance any other sound or sounds which are played in combination with it. Great if you are feeling poorly or just want to ramp up a session. Not For Sale. A very powerful set of sounds and recommended for practitioner use and client recommendation, is available in selected Sounds from Source Practitioner programs and as an adjunct to Michael Mcdonnell of Quantum Clairvoyance’s “Adjusting the Human Quantum Field’ programs. Also, a special ‘public or lite version’ is available as a giveaway if you sign up for our 7 weekly sounds at the top right of this page.